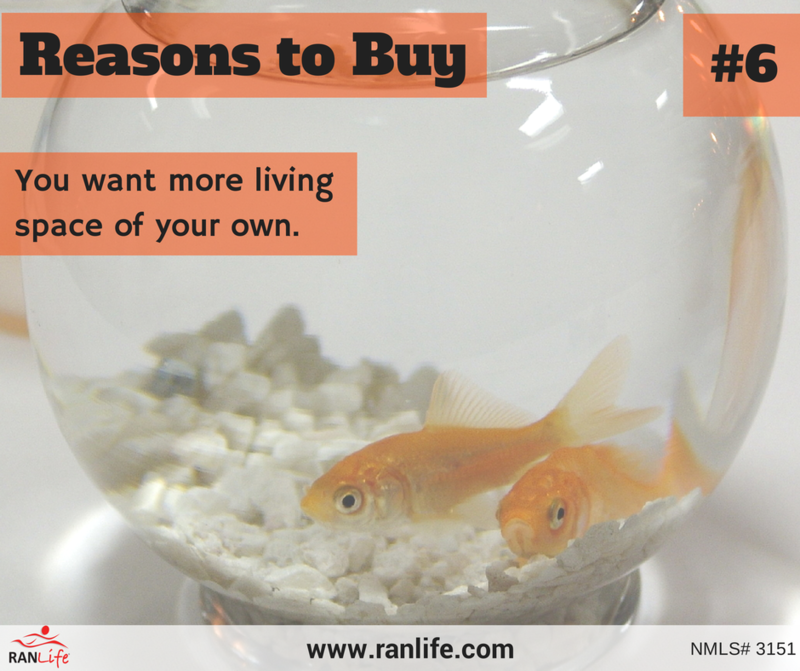 This week marks week #6 of our 26 Reasons to Buy a Home. Have you ever felt like you don't have enough space at home to feel comfortable and put all of your things? The amount of living space is a common problem with renters and rental properties. When buying a home, you have the freedom to choose whatever space works best for you. Whether you desire a big kitchen or spacious living room, having enough living space is vital to our happiness at home. Check out the other 26 reasons here.